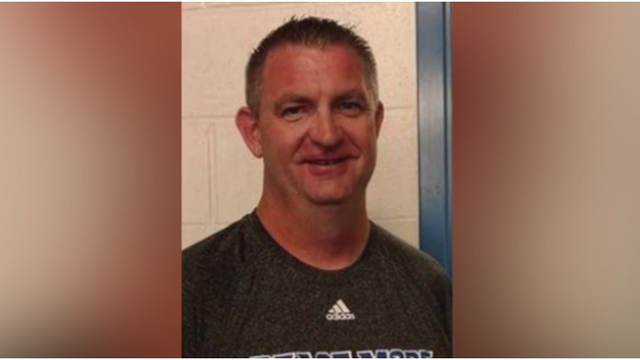 FRANKSTON, Texas (KETK) - A concerned mother is suing a Central Texas school district and its former head football coach, who now holds the same position at a local high school. 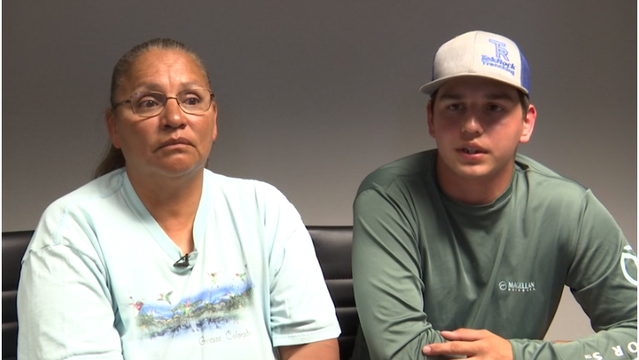 Melissa Davis, the mother of former Moody High School quarterback Steven Davis, is suing the Moody Independent School District and former head football coach Kevin Chase in federal court, claiming Coach Chase was negligent after her son was injured during football practice in February 2016. Coach Chase is now the head football coach and athletic director at Frankston Independent School District. According to Steven, during practice, the team had to flip giant tractor-tires up a hill and roll them down the hill to the next person. "I mean, just in general, I feel like it wasn't a very smart idea to roll tires down a hill," says Steven. "Tractor tires at that and just tires in general." As Steven was waiting for the tire to come down, he says the tire was rolling too fast and hit him in the face. He suffered a broken jaw, broken teeth and a lacerated tongue. "I couldn't feel my face at all," says Steven. "He (Chase) came down there and asked if I was alright, and I could talk hardly and could say hardly anything. I just told him, 'I think im missing some teeth.'" Steven says Coach Chase took him to the nurse, where they called his brother to pick him up instead of calling 911. After two years, Melissa is still fighting for justice for the pain her son endured. "It's just unbelievable that anybody could not see that was negligent," says Melissa. "It's just pure stupidity to me." 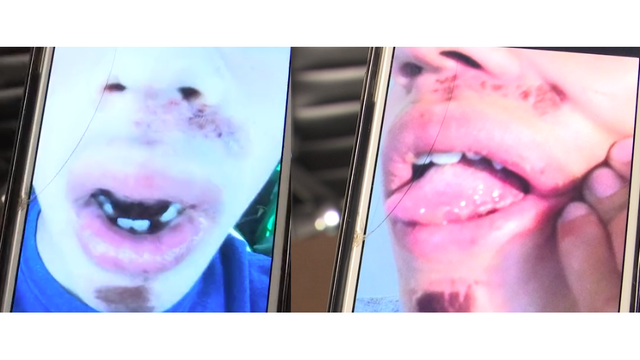 Melissa says it will cost about $14,000 to fix her son's teeth. The attorney for Coach Chase says he is filing a motion to dismiss the lawsuit. "We have turned over the mentioned lawsuit to our school attorneys. We have already filed the motion to dismiss, and we await the court's decision." In July 2017, Coach Chase was named interim head football coach and AD at Frankston, following the departure of Jonny Louvier, who left the school to take the assistant head football coach position at Robert E. Lee High School under Kurt Traylor. According to sources, Coach Chase, who was hired by Frankston ISD on June 12, 2017, had his first face-to-face meeting with superintendent John Allen just prior to being named interim AD. He was officially given the post in October 2017.